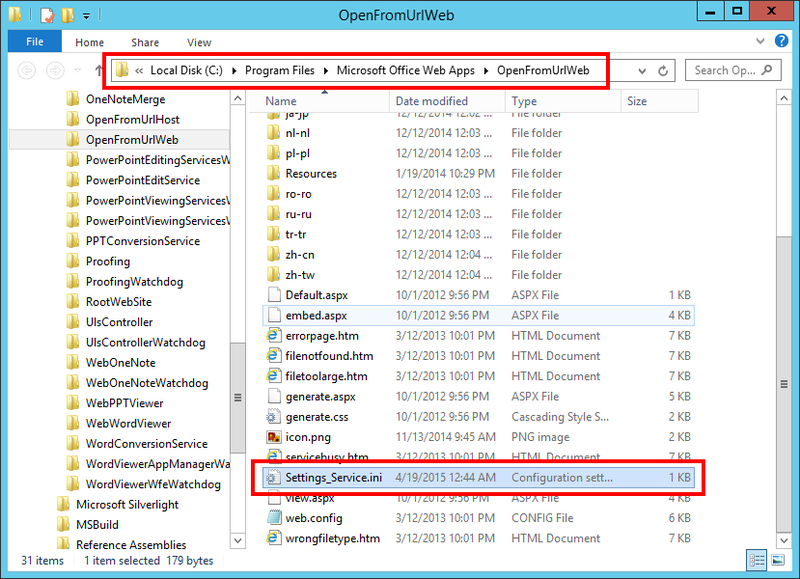 You can use Office Web Apps 2013 server to open files located on file share. 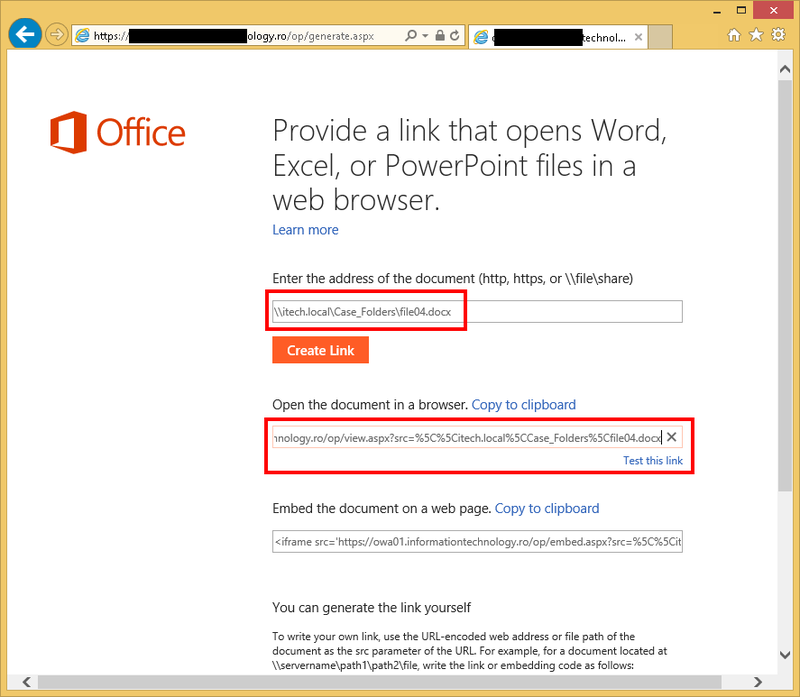 That’s actually very useful for non-SharePoint web sites who would like to leverage Office Documents rendering in web browser. A bit more details for those who didn’t knew about this functionality. 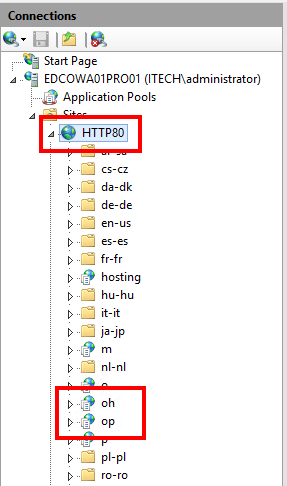 You can configure the Office Web Apps server to take as source destination a file located on fileshare. If the file located on the file share is less than 10 MB, the rendering is performed without issues. 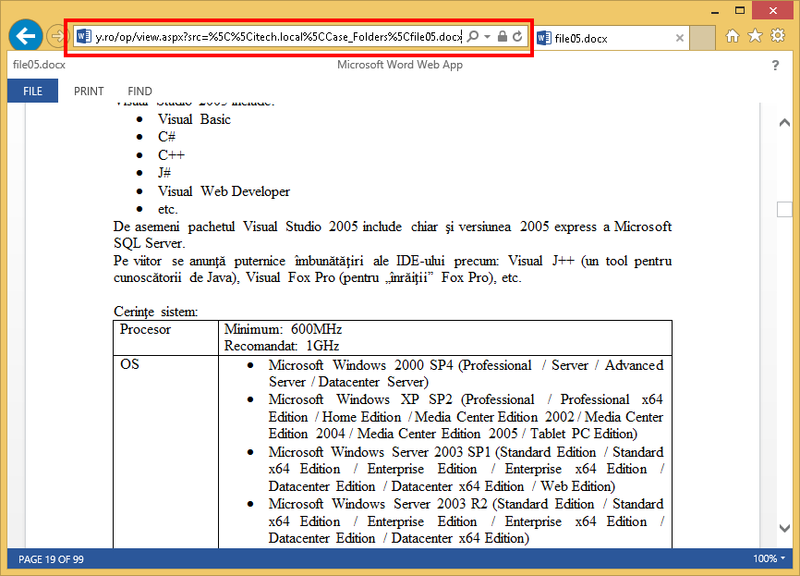 If the file located on the shared folder is larger than 10 MB, then Office Web App 2013 will return “File too large”. The solution is to adjust the Settings_Service.ini files located by default on C:\Program Files\Microsoft Office Web Apps\OpenFromUrlWeb and C:\Program Files\Microsoft Office Web Apps\OpenFromUrlHost. C:\Program Files\Microsoft Office Web Apps\OpenFromUrlWeb and C:\Program Files\Microsoft Office Web Apps\OpenFromUrlHost are the paths behind oh (OpenFromUrlHost) and op (OpenFromUrlWeb) web applications. Add the following new line at the end of the file, or update it in case already exists. This new setting will configure the Office Web Apps server to render files larger up to 500 MB. Attention: In case you will reconfigure the server to accept such large office files, make sure the network connectivity between the Office Web Apps server and the file share server is good enough. The in-browser loading time of the office document will directly depend on how fast the file is download by OWA server from the source. Restart the Office Web Apps windows service.